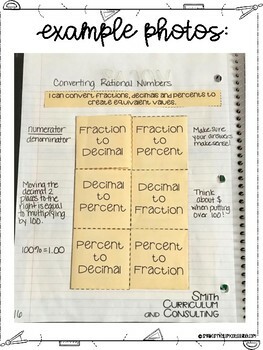 Operations with Rational Numbers is a core foundation unit to begin each and every school year with! 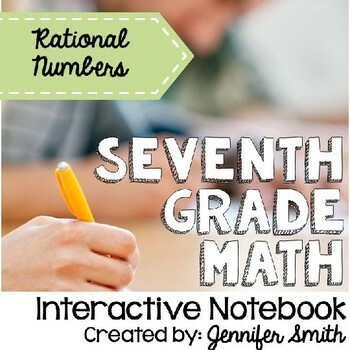 Reviewing and extending upon the concepts of rational numbers, positive and negative integers, fractions and more are definitely skills to implement and review throughout the school year.. 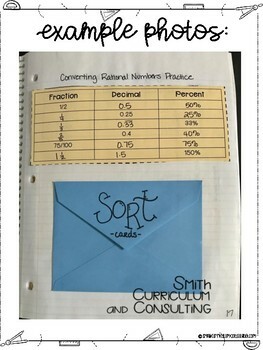 This Operations with Rational Numbers unit contains 18 unique lessons that have been tried and tested since 2012 inside and outside my own personal classroom. The interactive and kinesthetic component of cutting and gluing into an Interactive Notebook makes working with flippables more of a game-like activity which keeps students engaged in the lesson being presented. All activities are aligned to 7th Grade Common Core Standards, Texas Essential Knowledge and Skills (TEKS) and now Oklahoma Academic Standards (OAS) as well. Alignment documents can be found in the preview.